When they design buildings, architects tend to assume that people will be using them for a particular purpose. They imagine for example that factories will be used for manufacturing, warehouses will be used for storage, and shops will be used for conducting business. They aren’t always right in their assumptions, though. Buildings are sometimes used in rather unexpected ways. People are constantly shaping and reshaping the world around them. When it comes to buildings, this can mean shifting around furniture, but it can also mean carrying out structural transformations. The probability of major modification typically increases with time. Changed through various types of restoration, renovation, and rehabilitation, buildings tend to be remodeled whenever they start showing significant signs of age. They’re often repurposed in the process. Factories for example are frequently converted to condominiums. Warehouses often become offices. Shops are in many cases turned into townhomes. This kind of repurposing is in fact so common that architects even have a special name for it. They call this kind of thing ‘adaptive reuse.’ Describing how people adapt and reuse buildings, the term actually makes quite a bit of sense when you stop to think about it. 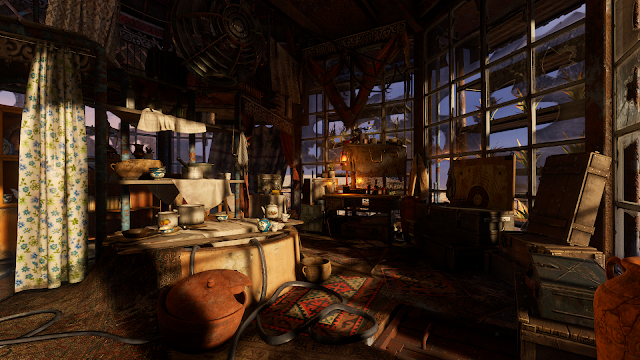 There are many different examples of adaptive reuse in Metro Exodus. You can find them scattered throughout the game’s post-apocalyptic world, but you’ll come across the best ones in a few particular places. The most interesting instances are in the Moscow, Volga, and Caspian Sea regions. The game confronts you with an example of adaptive reuse almost right off the bat. You spend a few minutes fighting mutants in the tunnels of the Moscow Metro after starting the campaign, but you’ll soon find yourself in a station called Exhibition. Fleeing the fallout on the surface, hundreds of people are supposed to have permanently settled in Exhibition, so it’s really more of a city than a station. The residents have clearly adapted the place to their new needs. You don’t actually get to see a lot of Exhibition, but the areas which you’re able to explore definitely reflect this. The infirmary for example seems to have been something like a storage room before the bombs fell. This part of Exhibition is basically just an empty space filled with stretchers, makeshift shelves, and a couple of curtain walls. There’s a desk and chair set up in a secluded corner for the doctor. The infirmary can only be entered through a single door at the end of an isolated hallway, so it’s not exactly ideal as an emergency room, but it seems to get the job done. You’ll come across another example of adaptive reuse in the Volga region. Seeking refuge from the mutants below, an engineer called Krest has apparently taken up residence in the cabin of an abandoned container crane. Similar to Exhibition, this decaying structure has clearly been adapted to fit the needs of its latest owner. The modifications are easy to spot. Pulling out most of its mechanical components, Krest has converted this piece of industrial equipment into what seems like a pretty comfortable apartment. 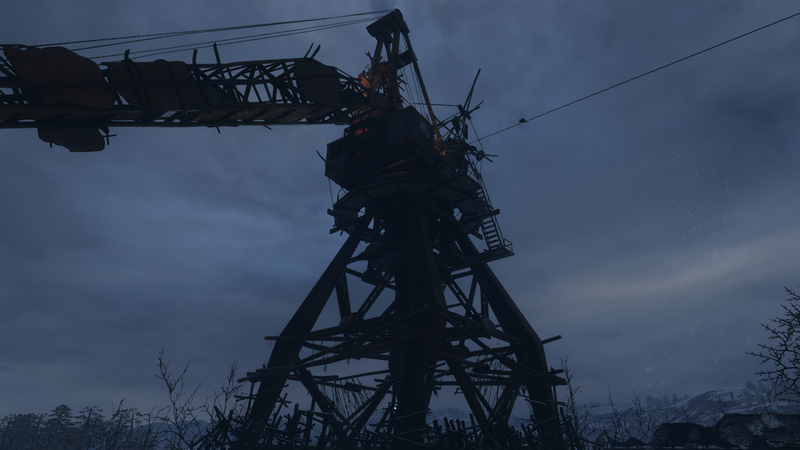 Furnished with a kitchen, bedroom, and at least some semblance of a bathroom, you’d never guess that it could still be used as a crane, but Krest has kept most of its internals intact, so the arm can actually be raised and lowered at will. Since the cabin sits atop a tall platform, this makes for convenient access to the structure’s various amenities. Krest can simply climb up the arm whenever he wants to cook himself a meal, catch up on some rest, or clean a weapon at the workbench. The clearest example of adaptive reuse can be found in the Caspian Sea region. Setting out in search of a certain sniper, you’ll soon come across an isolated lighthouse next to an oozing oil field. The structure emerges from the surrounding desert like a mirage. When she finally gets around to lowering the elevator which leads up to the lantern room, you’ll figure out that it belongs to the subject of your search. Her name is Giul. Seeking shelter from the Baron’s bandits, Giul has turned this lighthouse into a pretty practical hiding spot by replacing most of its machinery with creature comforts like floor mats, pillows, and a few drapes. The building has dedicated areas for cooking, sleeping, and working on weapons. You might not expect it given the available space, but there’s even a small spot set aside for storage. This feature is apparently more important than it seems. The region is almost completely under the Baron’s control, so Giul spends entire weeks without leaving her lighthouse. What exactly do these examples of adaptive reuse contribute to the game? 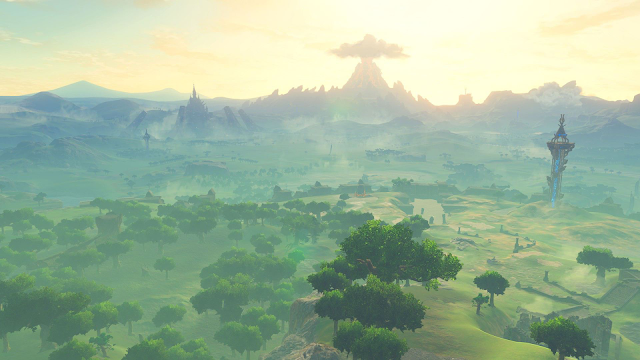 Such careful attention for detail quite simply helps to build its world. 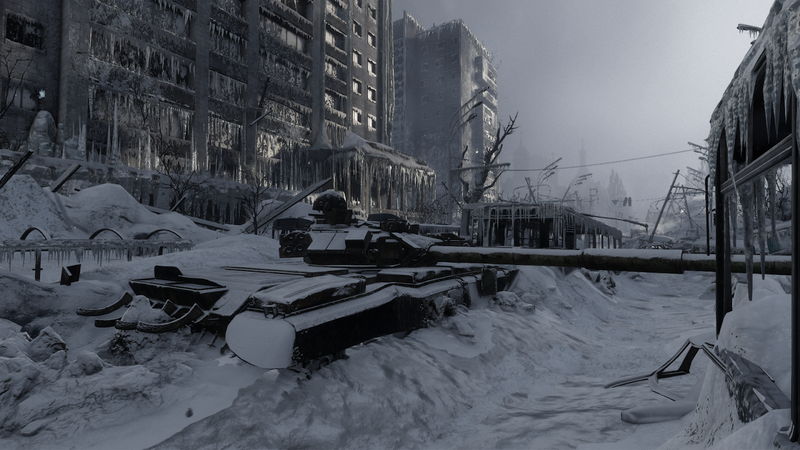 Suggesting that people have managed to survive in the Moscow, Volga, and Caspian Sea regions for long enough to shape and reshape them, these examples of adaptive reuse add a certain amount of depth and complexity to the game’s level design. They make its post-apocalyptic environment feel as though it’s filled with living, breathing people. 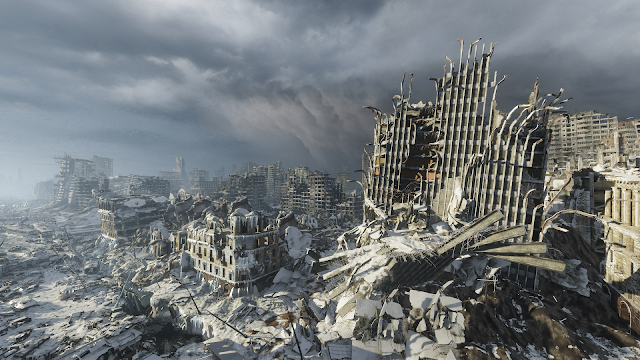 Supporting a strong sense of immersion, they pull you into the world of Metro Exodus, allowing you to get lost for a few moments among the stalkers and mutants.